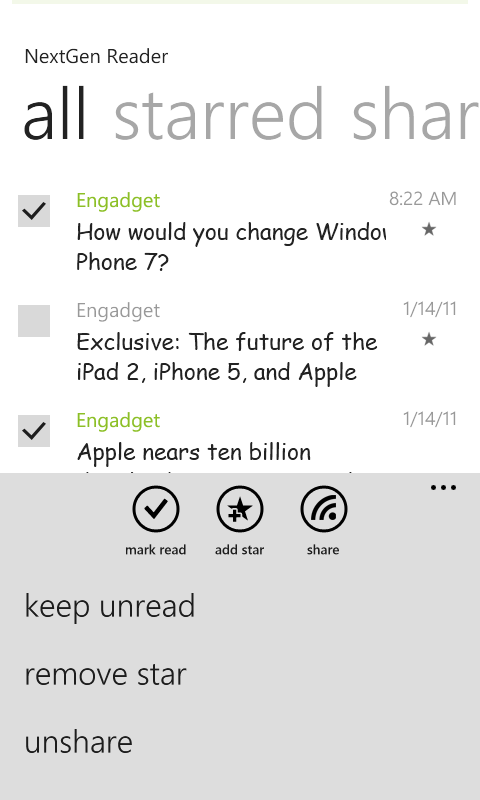 A Google Reader Client for WP7 engineered for performance. # works in offline mode. # completely secure – your login details are encrypted and stored on phone only. 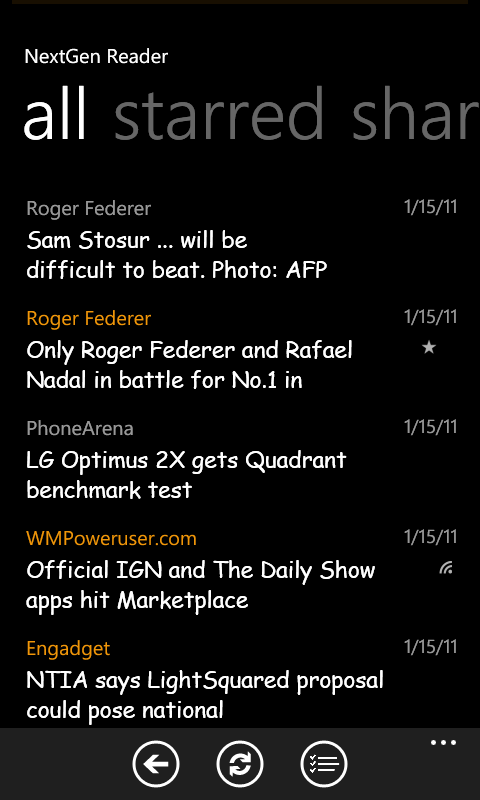 # full metro UI support for dark and white theme. 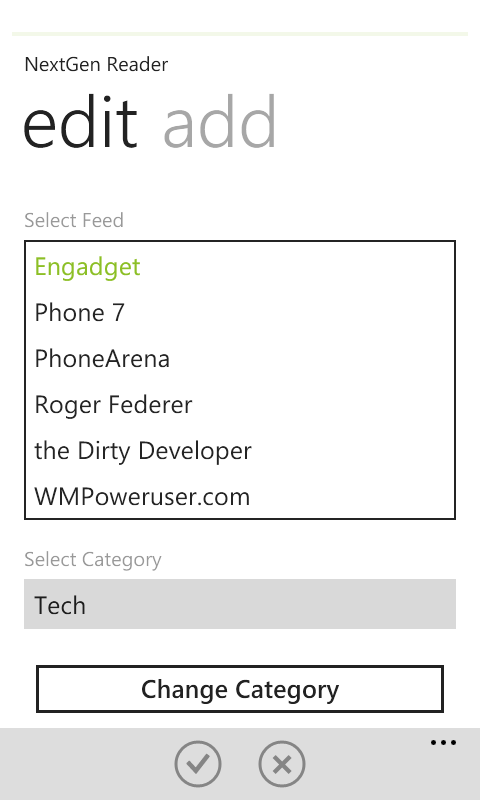 # select multiple articles just like Official WP7 email client. 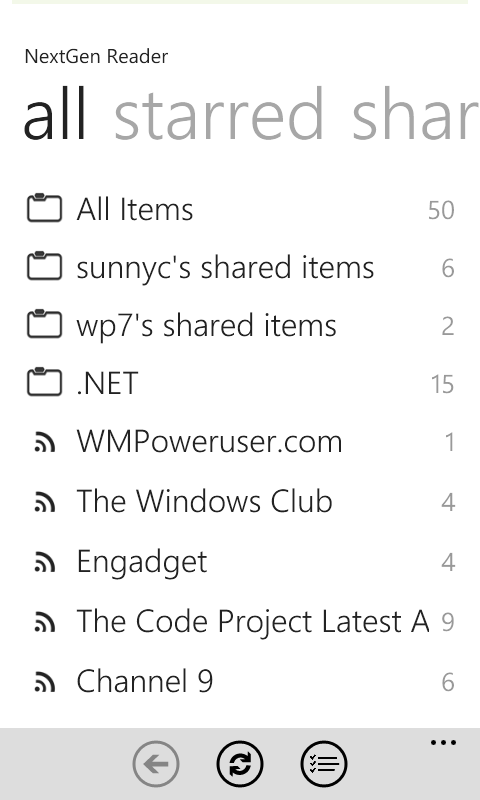 # breeze through feeds, folders or friends-shared items in most intuitive way. # share articles on twitter and support for url shortner. # visually differentiate between read/unread, starred or shared items in list view. 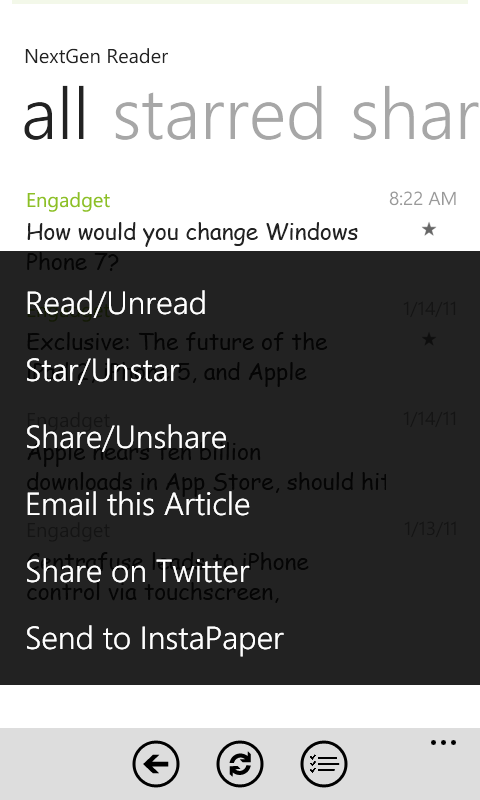 # recently starred and shared articles just a swipe away. 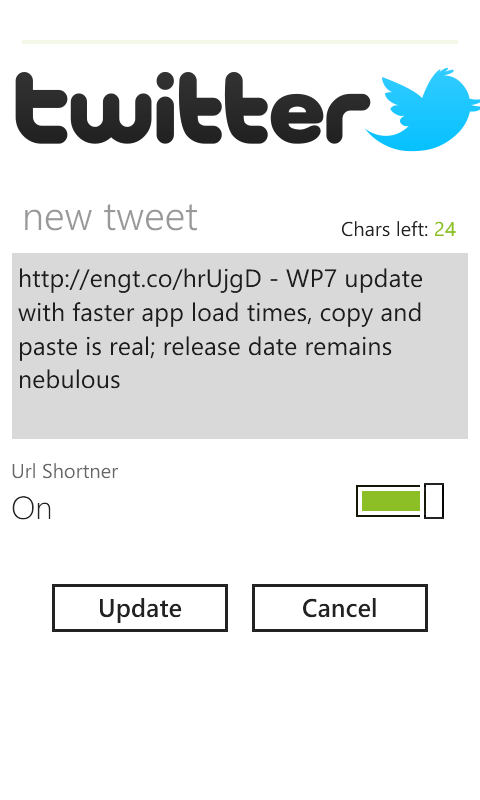 # tap and hold to see context menu for frequent actions. 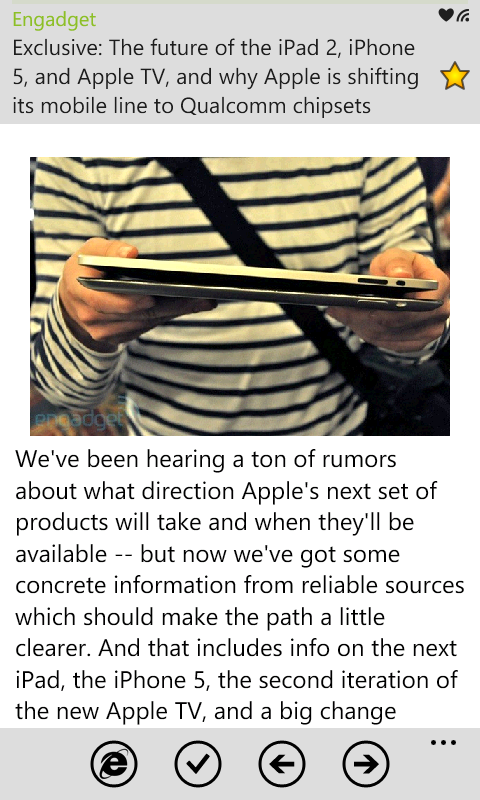 # share, star or email articles. # mark articles as read under feed, folder or all items in one step. # sync articles as per choice – all or unread only. # smart sync marks multiple changes in background at specified intervals. # view feeds in landscape mode and change default font-size. # open full page in embedded browser or go to internet explorer. # can lock your device during refresh. Contact via @ngreader on twitter or e-mail ngreader at live.com for support or feature requests.